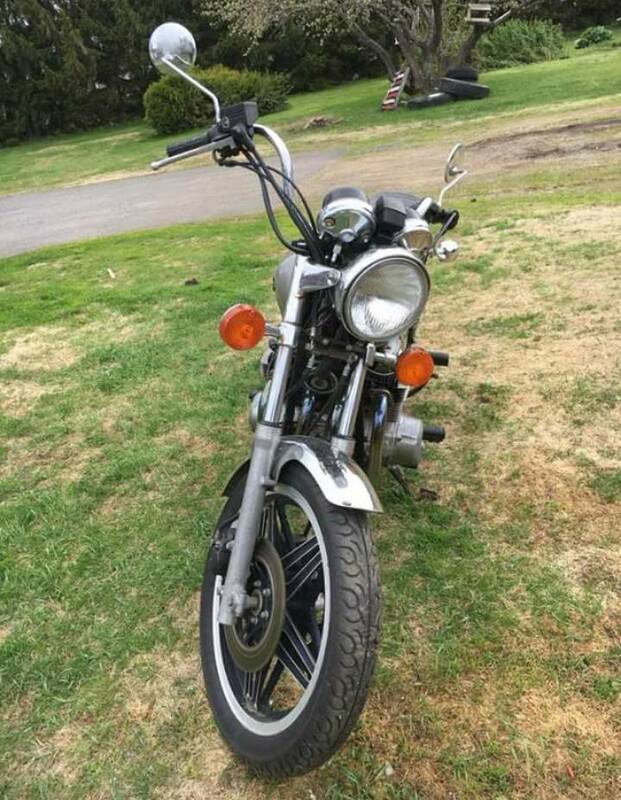 Hey guys, I'm new to this forum but I've owned a few cbs in the past and just came across this beautiful 1981 honda cb650c with only 10k miles. This bike has brand new tires the paint is nice, the chrome is beautiful no pitting anywhere no oil leaks on the motor you could eat off it . it will need a seat cover but overall the bike is gorgeous I think. A guy had it in warm storage and upgraded to new bike and had this for sale for 450.00 I got him down to 350 cash!! I just picked it up because I thought it was a steal however.. Now I'm wondering if it will be too small for me and my wife. Lol.. 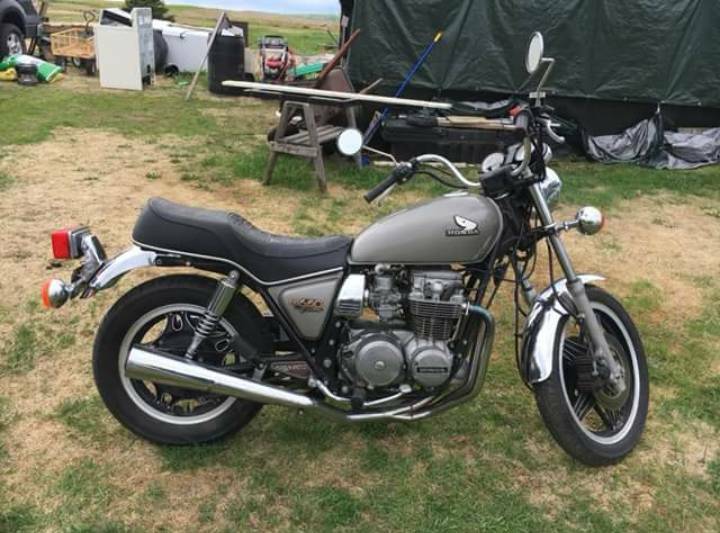 I used to own a cb900c but now I'm going to a smaller bike obviously but do you guys think it will be too small? My wife is about 120 lbs and I weigh about 180. I may just teach her to ride it and get another 900 but honestly I just felt I had to buy this bike for the condition its in and I hadn't ridden a bike in 5 years I had the itch when I saw it and the price was right. Any thoughts? Last edited by Cb650custom on Sat Jun 23, 2018 12:16 pm, edited 1 time in total. Re: New to the forum, from Maine!! Last edited by Cb650custom on Sat Jun 23, 2018 12:32 pm, edited 2 times in total. Re: RE: New to the forum, from Maine!! 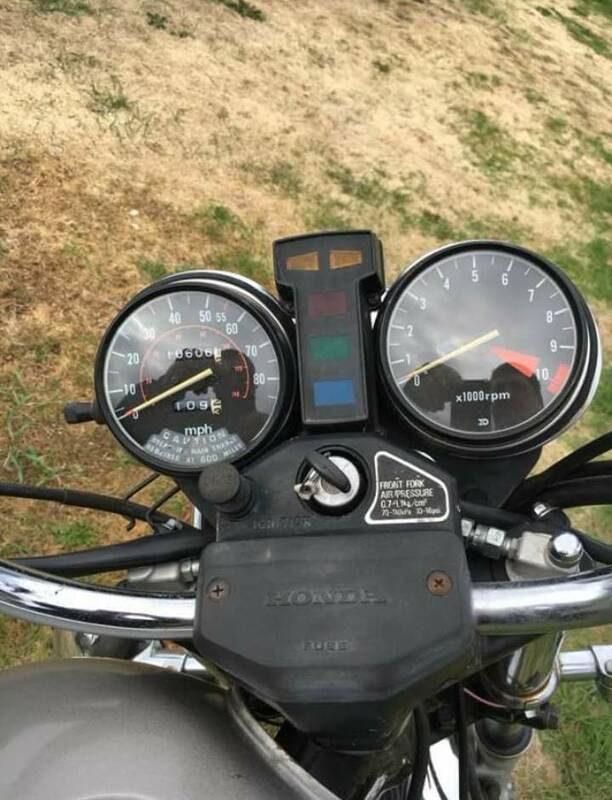 Cb650custom wrote: Hey guys, I'm new to this forum but I've owned a few cbs in the past and just came across this beautiful 1981 honda cb650c with only 10k miles. This bike has brand new tires the paint is nice, the chrome is beautiful no pitting anywhere no oil leaks on the motor you could eat off it . it will need a seat cover but overall the bike is gorgeous I think. A guy had it in warm storage and upgraded to new bike and had this for sale for 450.00 I got him down to 350 cash!! I just picked it up because I thought it was a steal however.. Now I'm wondering if it will be too small for me and my wife. Lol.. 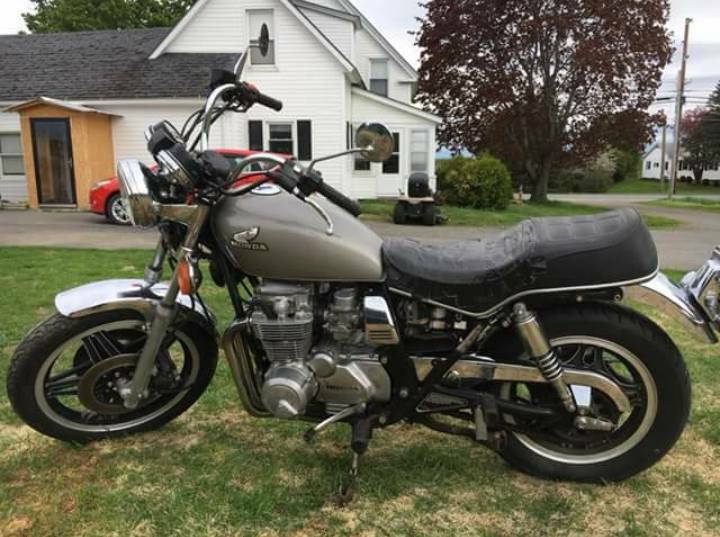 I used to own a cb900c but now I'm going to a smaller bike obviously but do you guys think it will be too small? My wife is about 120 lbs and I weigh about 180. I may just teach her to ride it and get another 900 but honestly I just felt I had to buy this bike for the condition its in and I hadn't ridden a bike in 5 years I had the itch when I saw it and the price was right. Any thoughts? Re: RE: Re: New to the forum, from Maine!! I feel the CB650 is too small to ride double. That PLUS, I love me some CB900C! looks like a Jardine header too. Folsoml wrote: I feel the CB650 is too small to ride double. That PLUS, I love me some CB900C! cb650 wrote: looks like a Jardine header too. I've rebuilt several of them.